We have entered a Golden Age of Rosé! Gone are the days when rosés were dull, lacking in character, and often bottled with some residual sugar. In the past winemakers tended to use the red grapes, that they rejected from their red wines, to make rosé. No longer! The trend now is to use the best quality grapes, and from specific vineyards which reflect their terroir in the style of the wine. In Provence this means that the £20 bottle of rosé is no longer unusual. 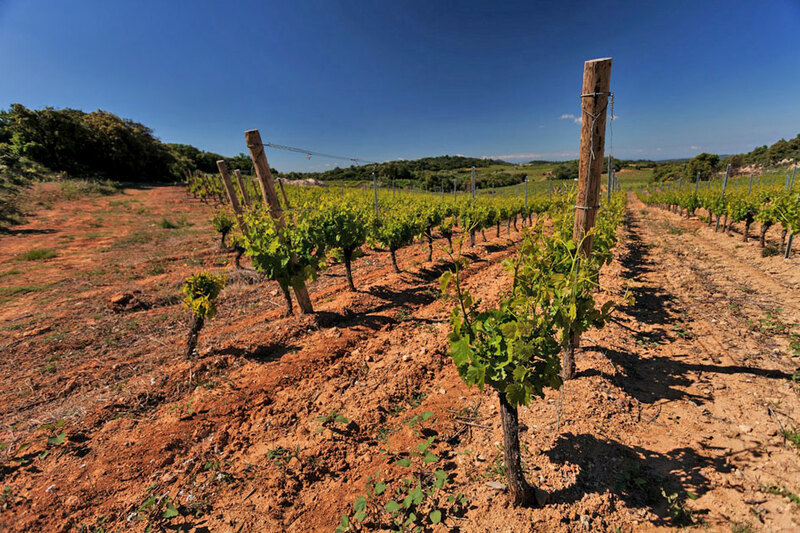 Yet, it is possible to get the same quality, but at a much better price, in the new-wave rosés further along the coast in the Languedoc. Increasingly on our travels we find ourselves spoilt for choice by these new-wave rosés. Christine Deleuze of Clos Bagatelle in Saint Chinian is one of our favourite winemakers. In recent years she has been focussing on top quality rosé. Last year her rosés sold out within a matter of weeks. So, when we revisited her this Spring we couldn’t resist bringing back three delicious Rosés! From the La Lauze plot of limestone and clay, this is made from 30% Grenache, 50% Cinsault and 10% Carignan. Pale pink in colour, there is an inviting nose of red fruits, while on the palate flavours of peach and apricot abound, with a savoury edge, gentle acidity and good length. A perfect wine for the garden or as an aperitif! From the Assignan hillside plot of sandstone, this is packaged in an attractive frosted bottle. The style is very much Provence also with a of 50% Cinsault with 30% Grenache and 20% Carignan. This is another very subtly pink-tinged Rosé with a gorgeous perfumed, floral nose. On the palate it is plumper, bursting with summer pudding flavours and white peach. It finishes with a hint of liquorice and great length. Very much in the Provence Rosé style but much better value! Sourced from grapes from both limestone and schist soils, by contrast this is made from 40% Mourvèdre, 40% Cinsault and 20% Grenache. Another very pale Rosé, this has been fermented in oak barriques, but the intention is to enhance the complexity of the wine not to add any oak flavour. And, this works very successfully. It has a gorgeous nose of strawberries and white peach, which leads into a full mouthful of strawberry and nectarine flavours, and finishes with hints of pink grapefruit and a long aromatic aftertaste. Up there with the best Rosés, costing around £15 a bottle. Fabulous value for this level of complexity! Be the first to review “Half a dozen mouthwatering Rosés!” Click here to cancel reply.